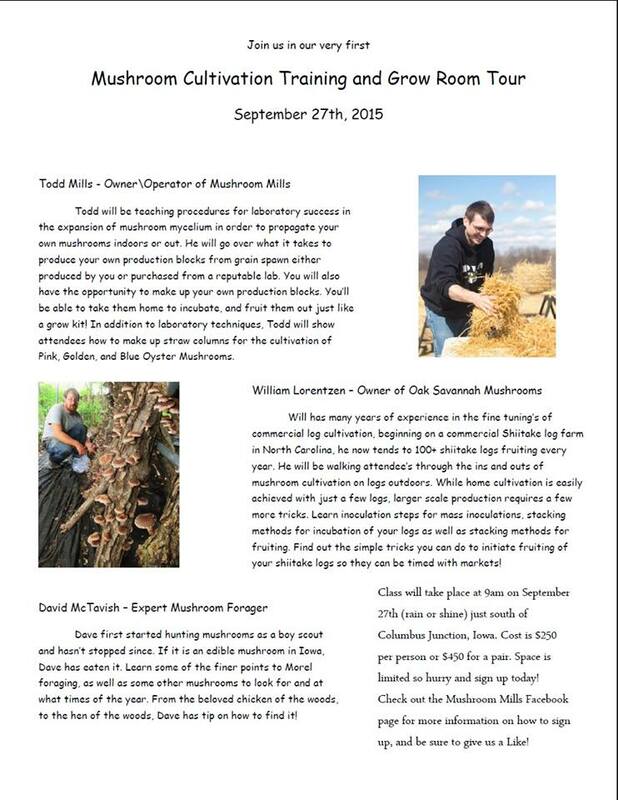 2015 News – Mushroom Grower’s Workshop Next Month! It’s been a busy number of months since Oak Savanna invested in some precious online time, and with good reason- the business has been up to a lot, and changed considerably from 2014 to 2015. We do apologize if that bums anybody out, but rest assured: Farmer Will’s Swine and “Pork-Trade” operation is not gone for good. The CSA was a real success, but 2015 has simply become a year all about focusing on the fungal-side of the business, and getting the mushroom end of things up and running…which will then in turn financially support piggies in the future. But hey….if you’re interested in future Swine CSA seasons, we do have a waiting list we could put you on, perhaps at a discount further down the road. Which leads us to a number of exciting mushroom updates! Shiitake mushrooms are alive and kicking, and in high numbers this year. 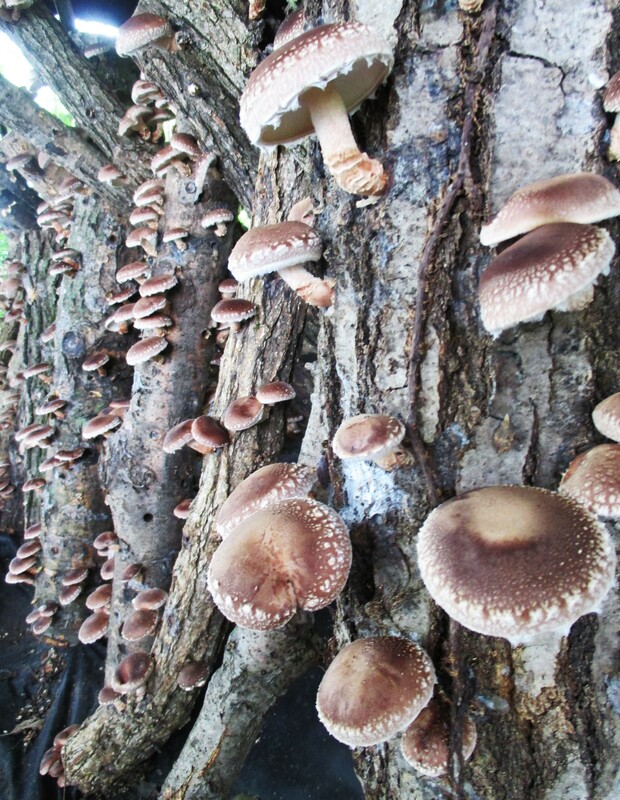 Due to the hard work of Will, mushroom-growing associates, and plenty of help from some good friends, volunteers, workers and fungus-loving buddies, there are over six hundred shiitake logs in operation over the season, which have flushed out pounds upon pounds of beautiful shiitakes- and some gorgeous photos. He hopes to get an oyster mushroom operation flourishing before and even during winter, for some exciting season extension! Oak Savanna is proud to now have its shiitakes available around all corners of the local food scene of Iowa City and surrounding areas. Find them every week at the Downtown Iowa City Farmer’s Market, or if you live in Cedar Rapids, you can get shiitakes Saturday at the weekend farmer’s market there too. 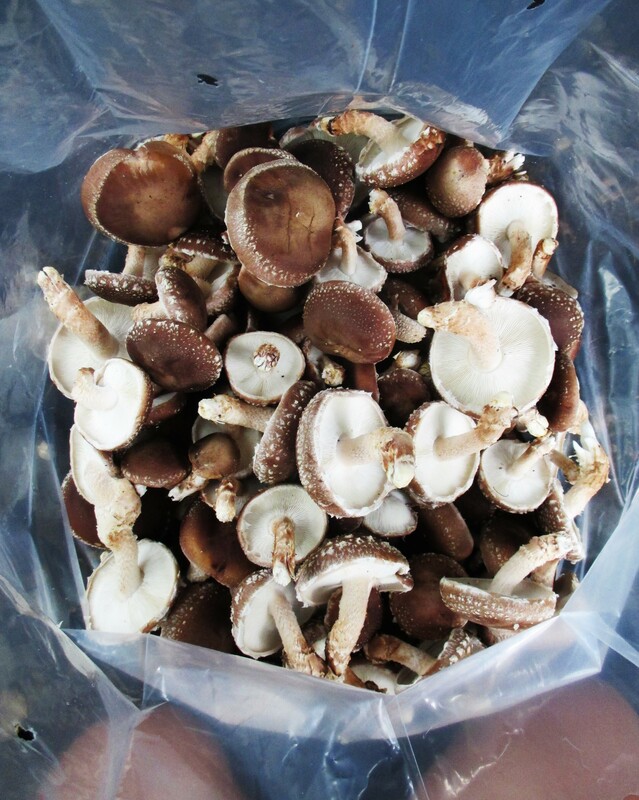 Look for our shiitakes at the Echollective Farm stand! We’re also a part of culinary dining experiences all over the area. 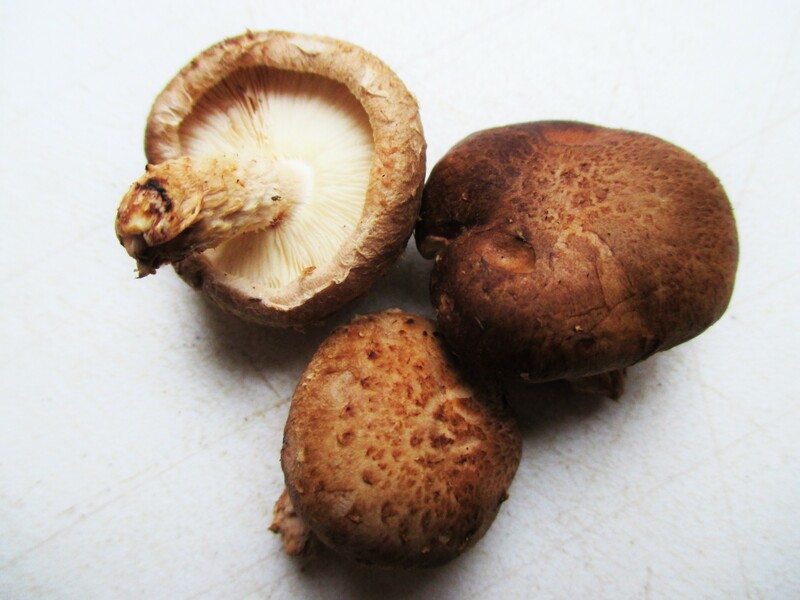 Find our shiitakes in delicious meals served at Share or Basta restaurants in Iowa City, or Sauce up in Cedar Rapids. The Palisades Cafe features our mushrooms in downtown Mt. Vernon, while Salt Fork Kitchen in Solon, Iowa has been another frequent, happy buyer. 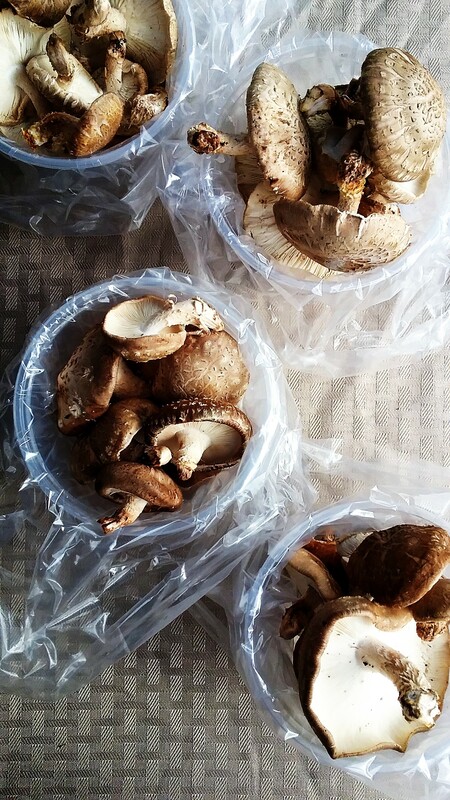 If you’re lucky, you can also stumble upon our photogenic shiitakes on New Pioneer Co-op shelves! Check out store locations in Iowa City, Coralville, and Cedar Rapids. As you can tell, Oak Savanna is growing just as fast and beautifully as its mushrooms, and we’re excited about what the future holds. But what else is new? Well, it looks like Farmer Will is to represent Oak Savanna at an upcoming lecture and workshop this September! Joining forces with fellow area mushroom grower Todd Mills of Mushroom Mills, a thorough tutorial, demonstration, and walk-through on all the tidbits of mushroom growing and business running will be given at a price, including a full, local and organic meal prepped and cooked by Farmer Will himself! Both growers will be sharing their unique methods, techniques, and approaches to the trade, whether you’re an aspiring home-grower or want to attempt your own business venture. Get acquainted with their operations, and who knows- maybe even get involved! Interested in attending? Check out the flyer below for more details, and feel free to contact the Mushroom Mills hub at http://www.facebook.com/Mushroom-Mills and send them a message if you wish to sign up. Do us a solid if you like, print them out and post them around your community! Jupiter Ridge’s Successful First Season 2017! 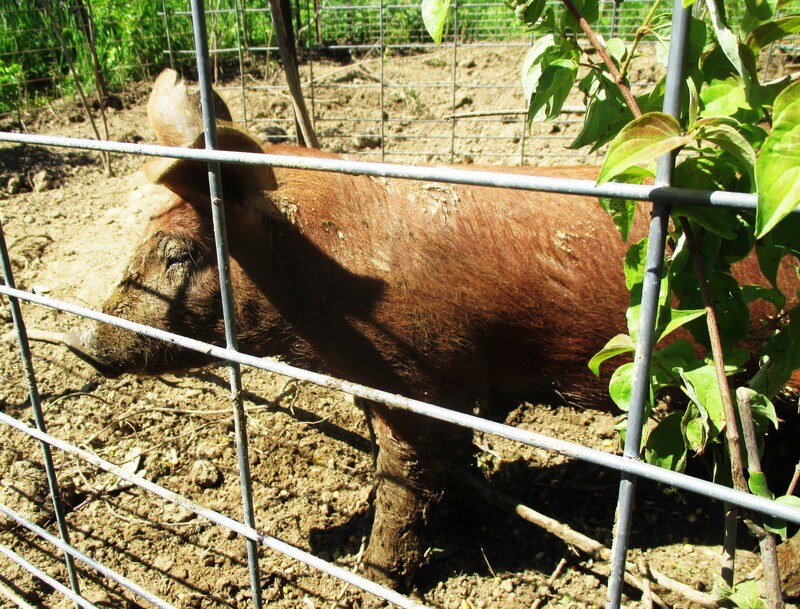 2014 Swine CSA Sign-Ups Now Open!